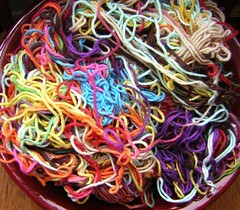 My obsession with all things knitterly, yarns of all kinds, and the things one can do with sticks and strings. 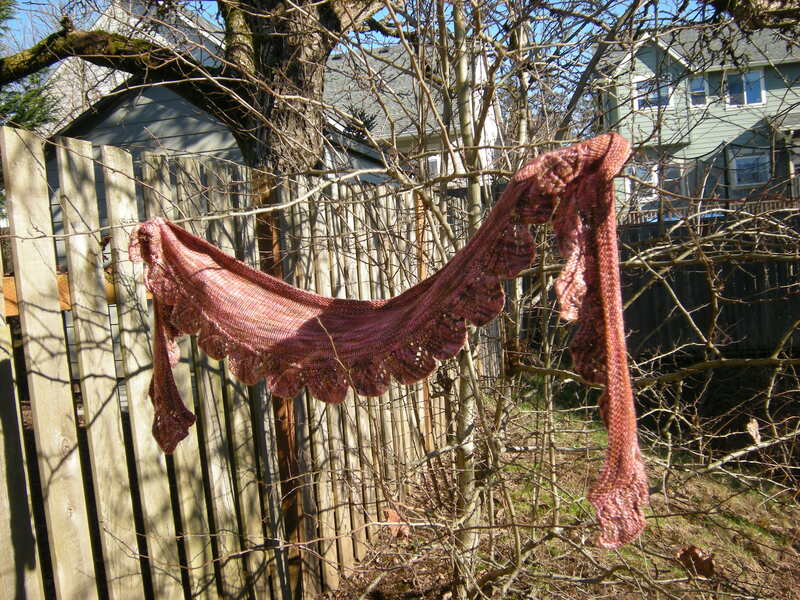 So, went outside for a photo op with latest shawl projects and had a bit of an adventure. The gate closed and latched shut on me. The only way back in was to hike thru the bushy pond growth and somehow throw myself over the fence on the side by the road. This is my third Summer Flies Shawl knit in Cascade Ultra Pima in the color “Buff”. I had on sandals, singularly inappropriate for hiking and fence climbing. Add to that middle-aged, overweight and out of shape and you have the makings for an embarrassing incident. 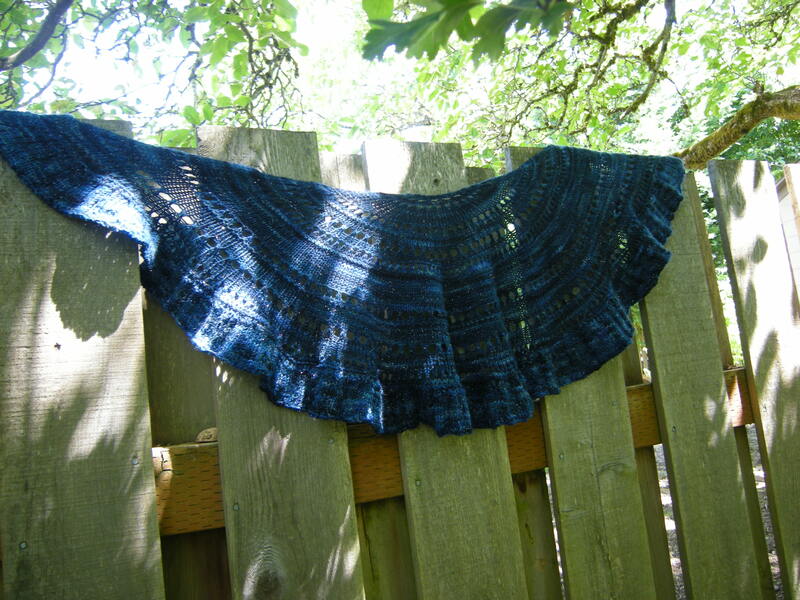 Awwwww, Well, I have some pretty shawl pictures anyway. 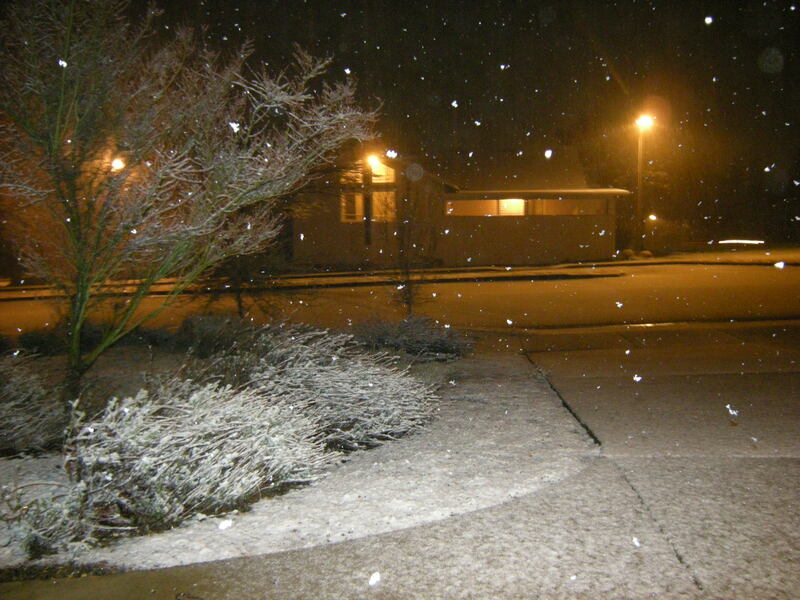 I won’t tell you how out of breath I was when I made it back inside the house. I’m happier with my second attempt, although obviously I still need to learn more and practice lots. 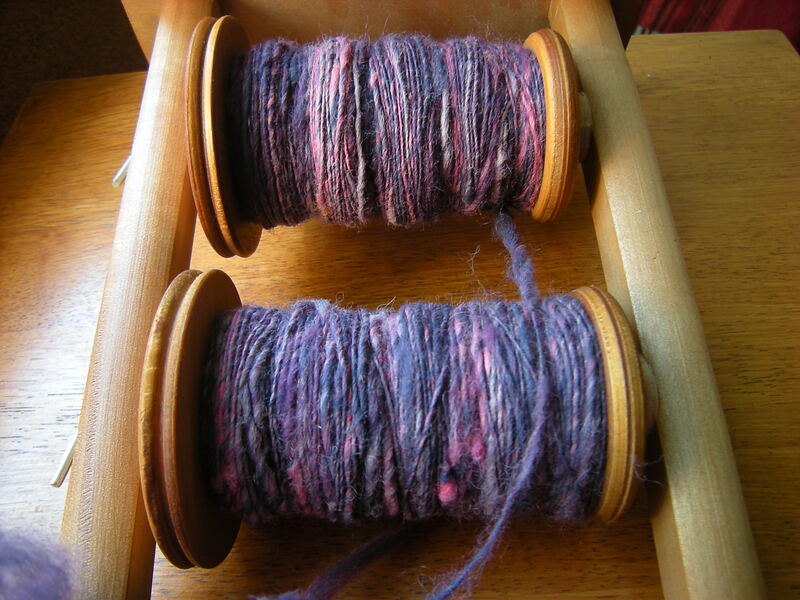 I’m already spinning my third and fourth yarns, so I’m getting the practice in. Stay tuned for more. 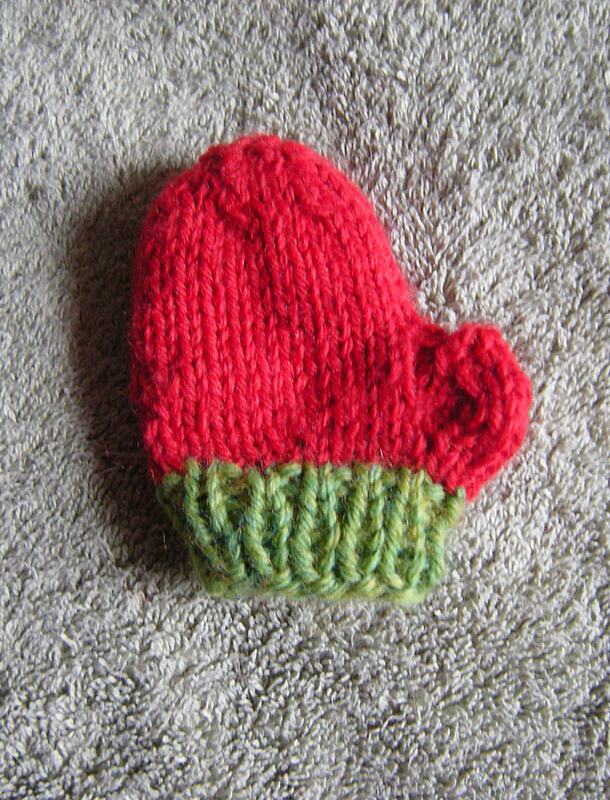 My first knitting hero would have to be my Grandma H. who taught me to knit in the first place. (Personally, I think all teachers should be called Hero’s, but that’s a subject for another day.) 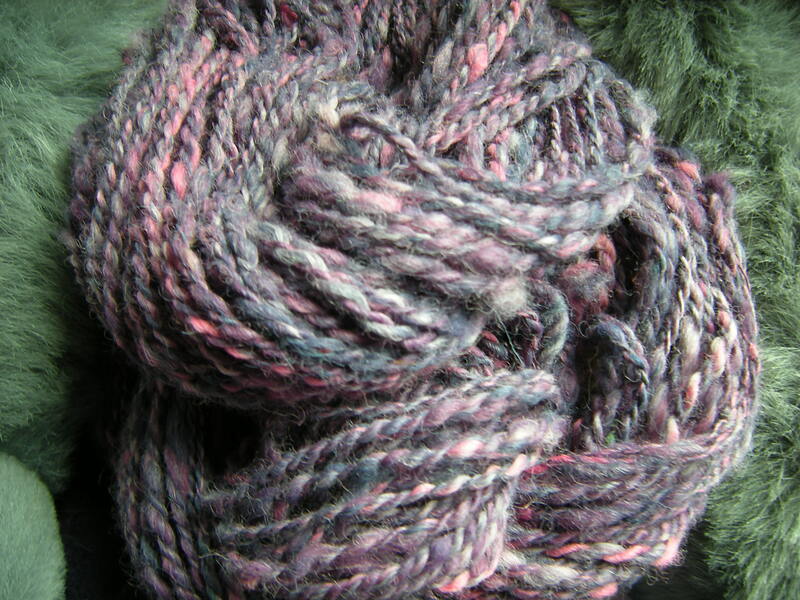 Grandma taught me how to cast on, knit and cast off when I was fourteen years old. Even though there were long stretches where I didn’t knit, I kept returning to it again and again because knitting is like therapy for me. 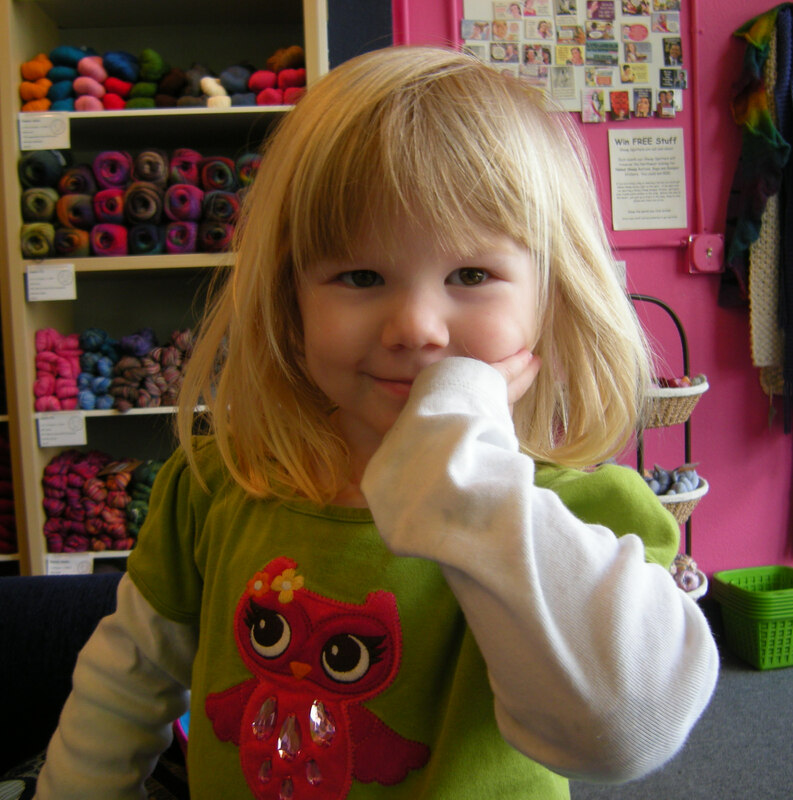 She’s my Knitting Hero because she is kind and patient and always willing to wait until I reach the point of readiness or of “getting it” even if that takes a while. She also is my friend and therefore entitled to tell me straight up when I’m about to commit some act of knitting stupidity. Being able to tell someone they are about to be stupid is a great attribute, but not one everyone gets to employ, its acquired over time and you can’t find it in a book. 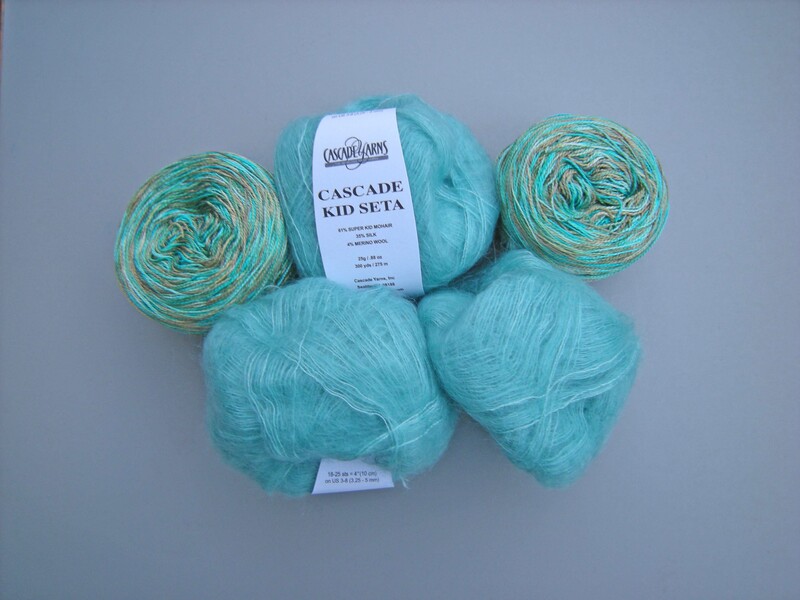 Colour is one of our greatest expressions of ourselves when we choose to knit or crochet, so how do you choose what colours you buy and crochet or knit with. 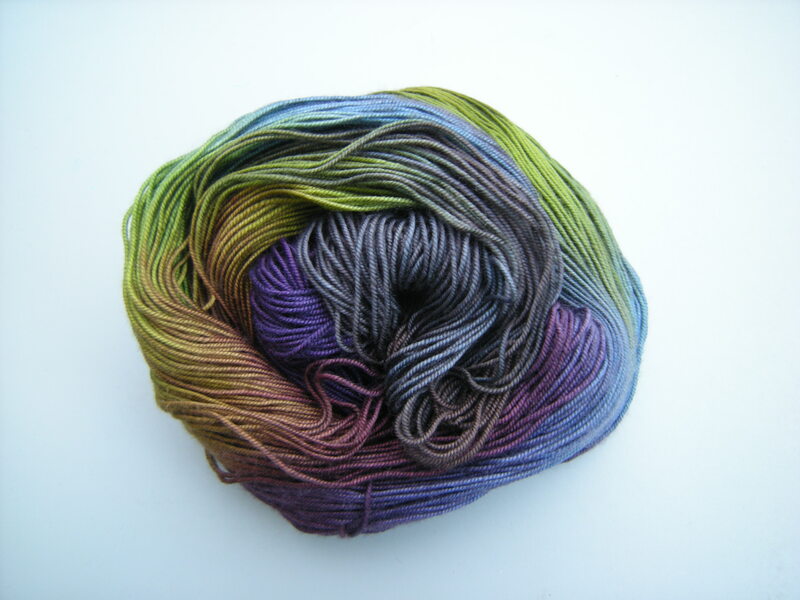 Have a look through your stash and see if there is a predominance of one colour. 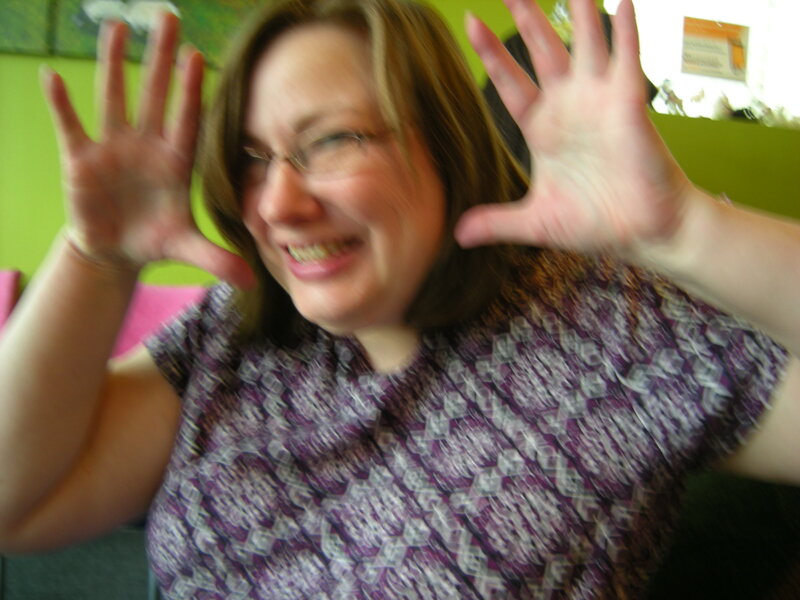 Do the same with your finished projects – do they match? Do you love a rainbow of bright hues, or more subdued tones. 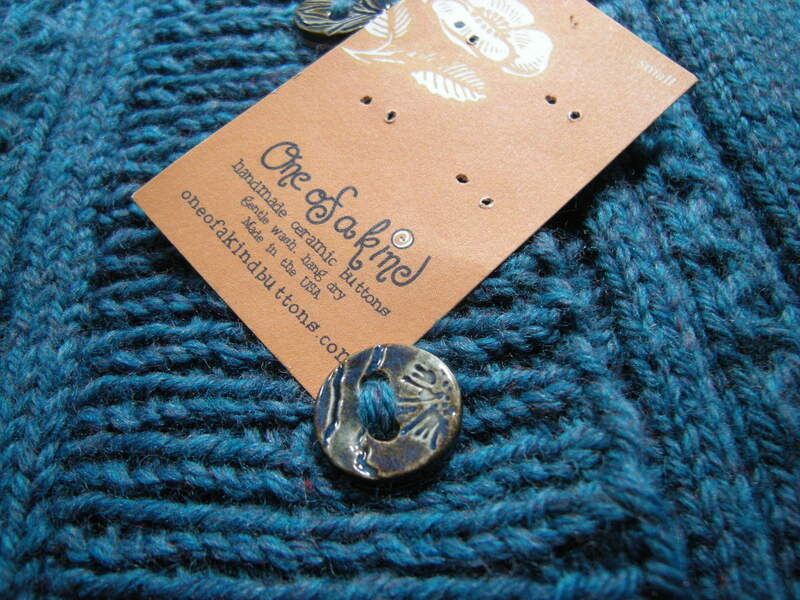 How much attention do you pay to the original colour that a garment is knit in when you see a pattern? Tell readers about your love or confusion over colour. Well, I have no confusion over color, or colour, as the case may be. I love purple. 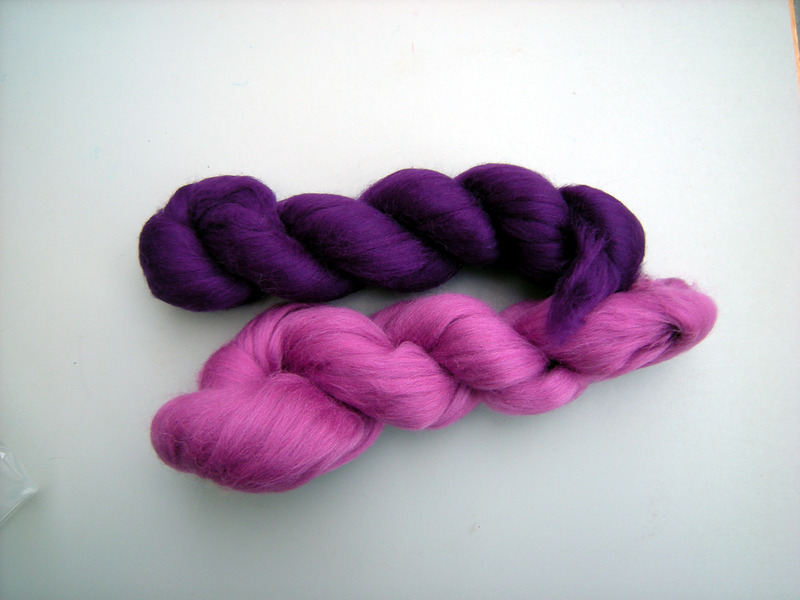 Or any variation of purple, or reds and blues, which, make…purple! 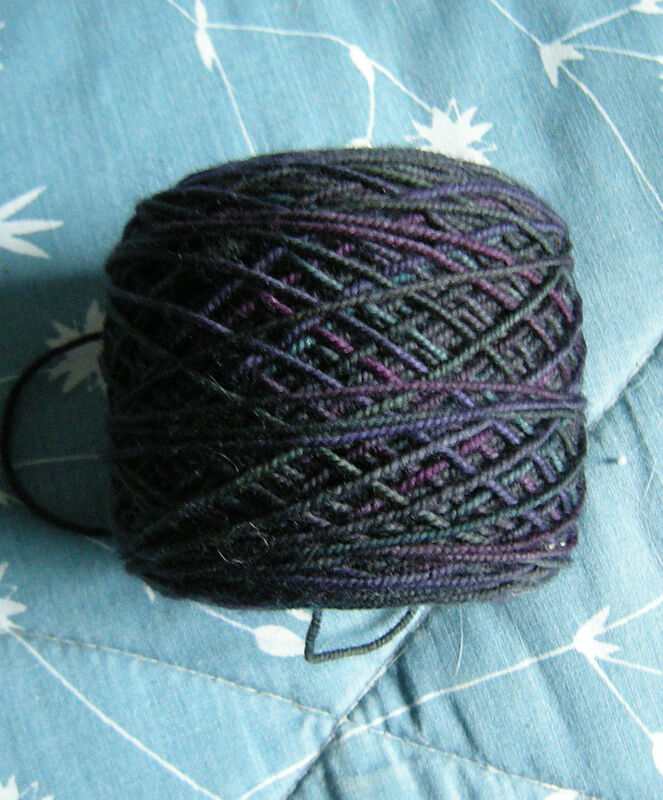 Pictured above is a skein of yarn that features nearly all of my favorites, except the red. 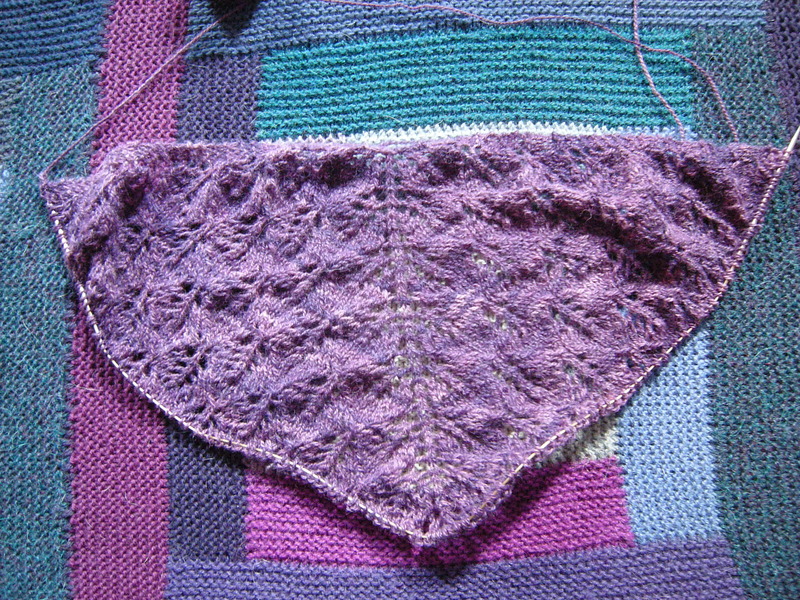 This is one of my favorite purple combo of all time, and this is how it looks knitted up and worn. 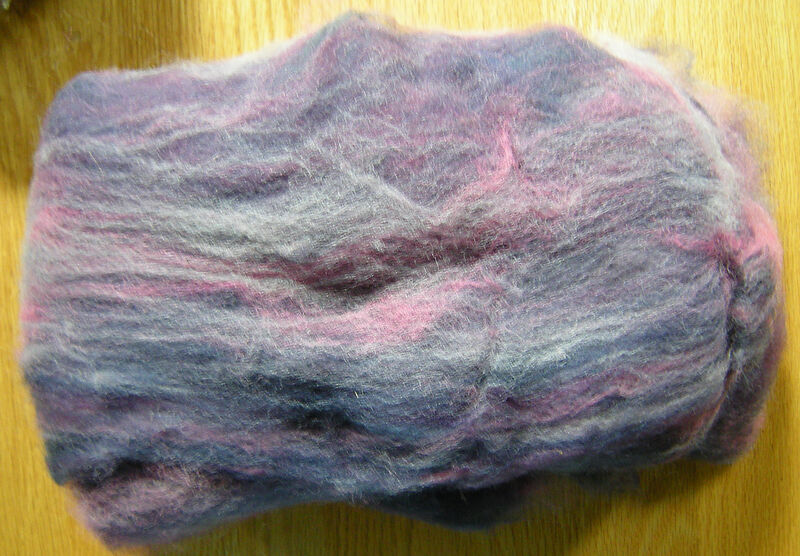 see how it has bits of teal amongst the purple? And here it is, my first goal done of Knit thru the Seasons. This is my winter project, the Dark & Stormy Cardigan http://www.ravelry.com/patterns/library/dark-and-stormy and even though it is now April, its remains imminently wearable. We’ve had snow three times in March and Mother Nature played her own April Fools Joke on us by throwing a cold and windy and stormy day at us. Stop for coffee and food sometimes, and keep going. 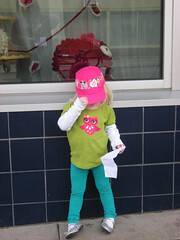 Take more pix of cute kid being super cute. Let her take a pix of you. Enter to win one of the 19 Gift Baskets! Pick up some of the Free Patterns with Purchase. We still have time to be goofy! 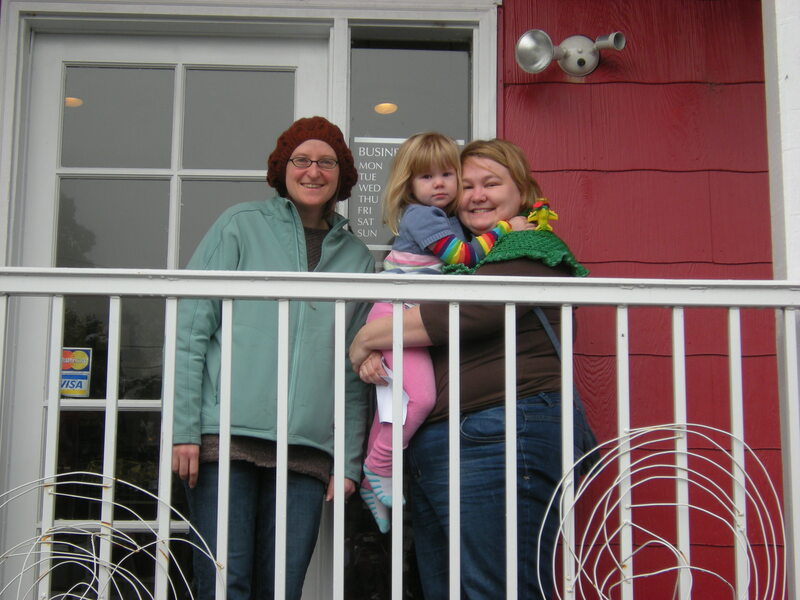 Cindy of Urban Fiber Arts with Rachel. Turn in you crumbled Passport after visiting all 19 shops and kiss it for Good-Luck, because you want to win one of those gorgeous gift baskets. Come home and admire your pile of loot and collapse with exhaustion. 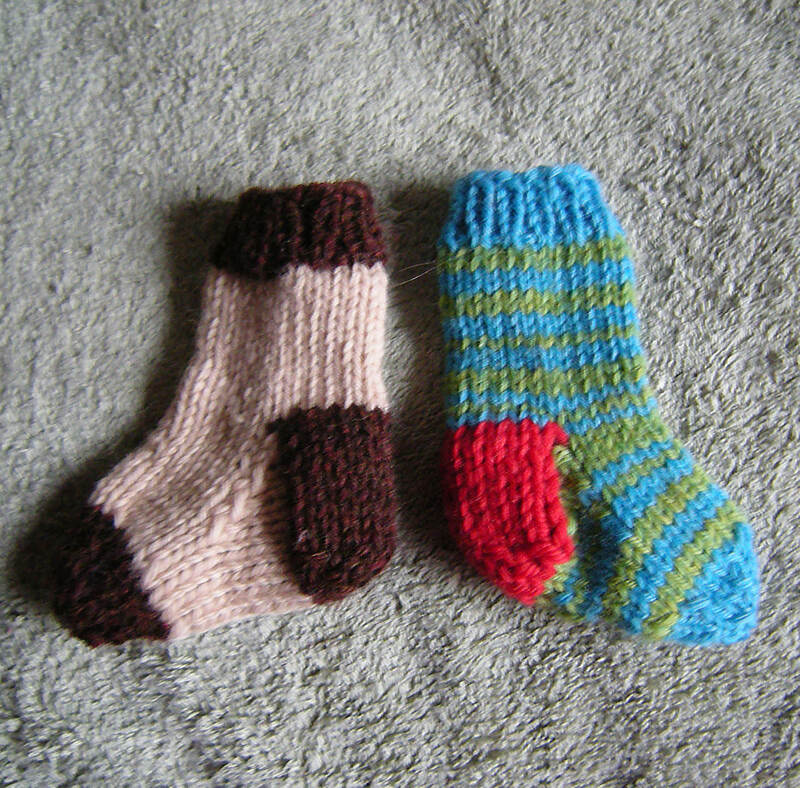 That’s two pairs of socks I’ve knit in less than a month…another world record for me! 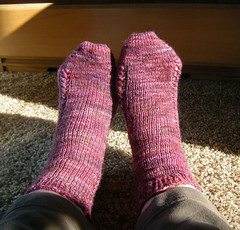 Plus a third pair is on the needles. 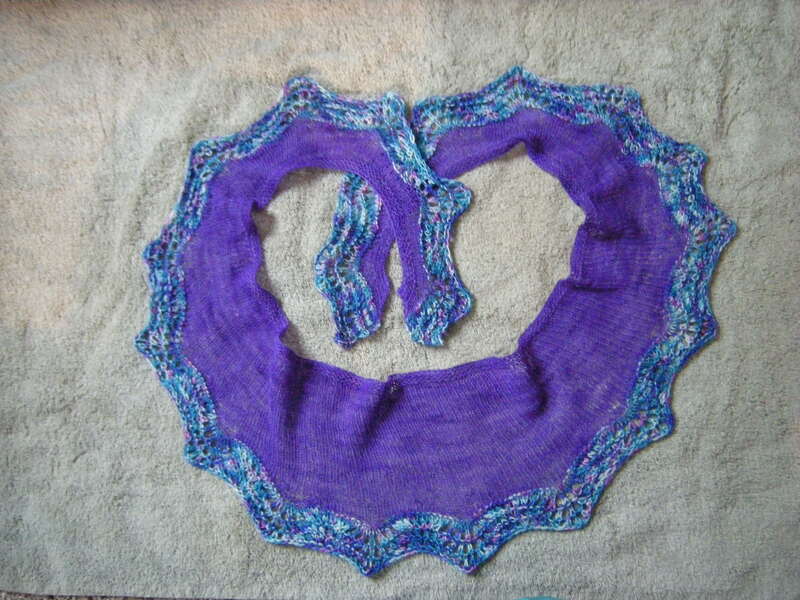 This Ceder Leaf Shawl or Shawlette, as we call them because they are not a full-sized shawl is my second one. 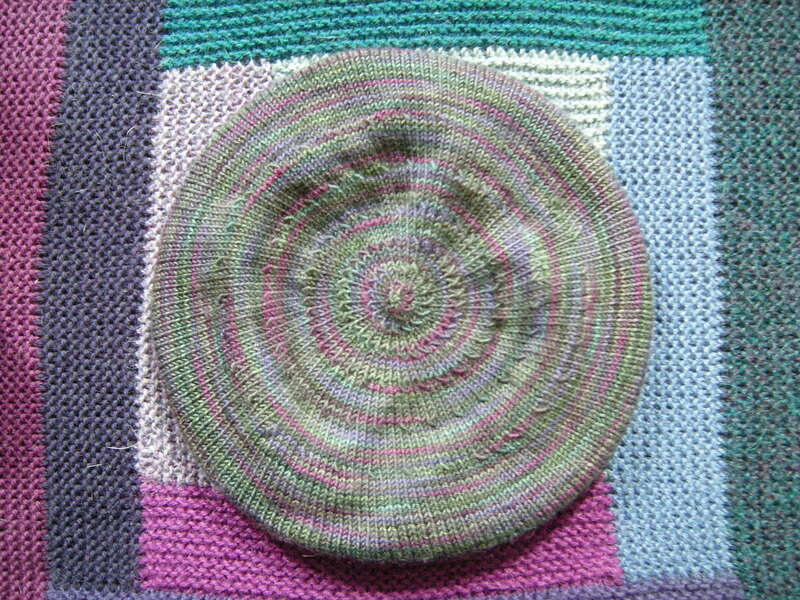 This one is knitted as a shop sample for Cindy at Urban Fiber Arts, featuring one of the locally dyed yarns she sells in her Pearl District shop. 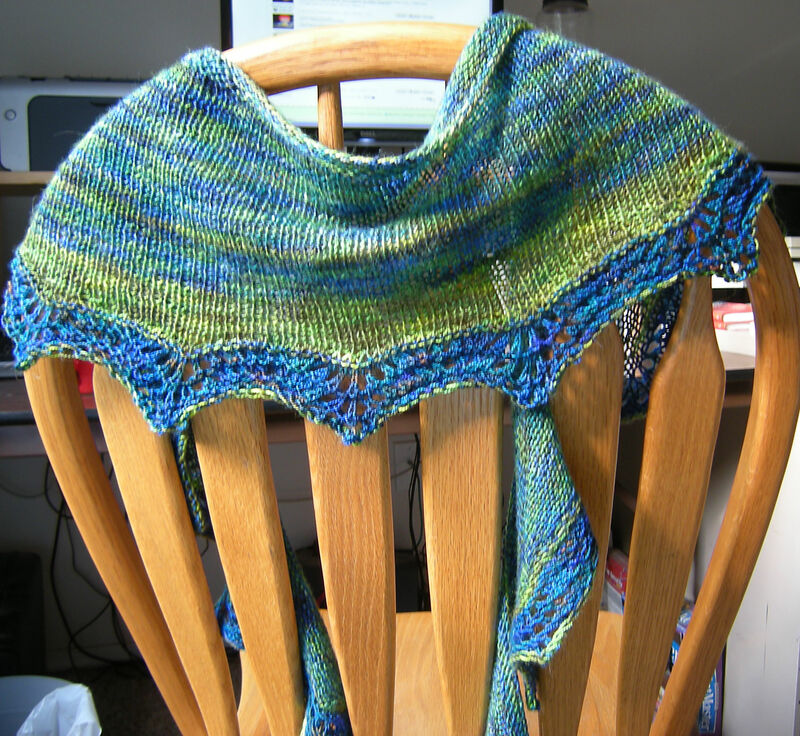 I still have at least three shawls and two cardigans to finish. For everything I finish, there’s more still to do. I’m sure there is some profound philosophy in there somewhere. 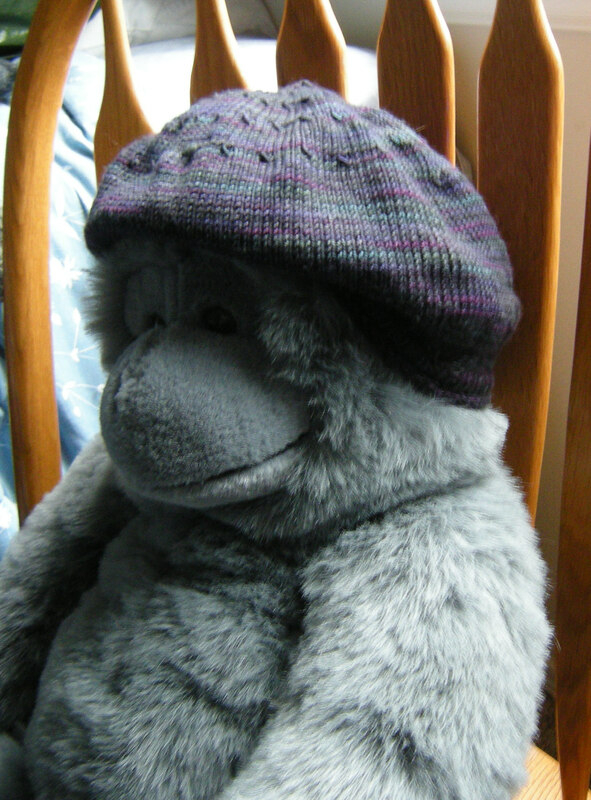 This is my every happy to pose for me model, I fondly call him “Gorilla Guy” he is wearing my newly finished Raven Beret…from Blue Moon Fiber Arts Raven colorways, this one is called “Rook-y”. Now look at this pix I took after I washed it and blocked it on a plate. 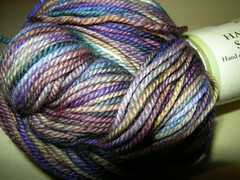 Now here is a pix of the yarn itself. You think it lost a little black…maybe??? Some of you know, I’ve been knitting on this darned Log Cabin Blanket for, like, EVER. 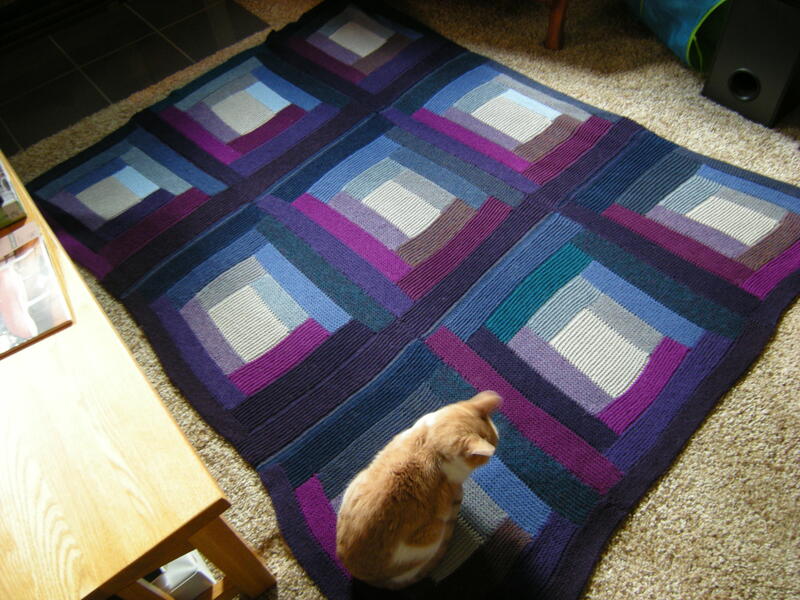 Finally I hauled it out of the closet where its been languishing for a year and finished the thing. So glad to have this thing done. 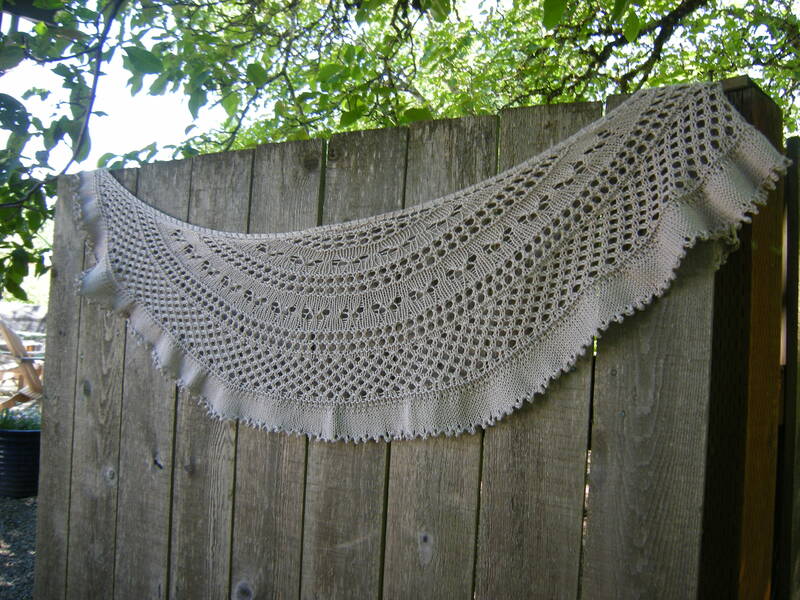 Although now that I look at it, I may pick up and knit on a mitered border. Maybe. Or Not. 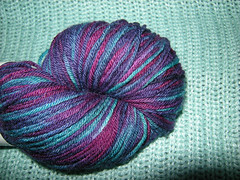 Beemer Guy may not realize this, but I bought all the yarn for this from his gift card to me Christmas 2007. So now you know it was put to good use. 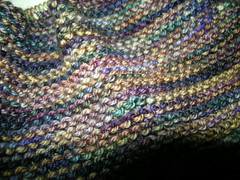 Now, back to some socks and shawls. 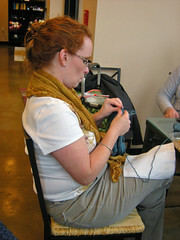 I am knitting a Haruni Shawl for a sample for a new local alpaca yarn company. 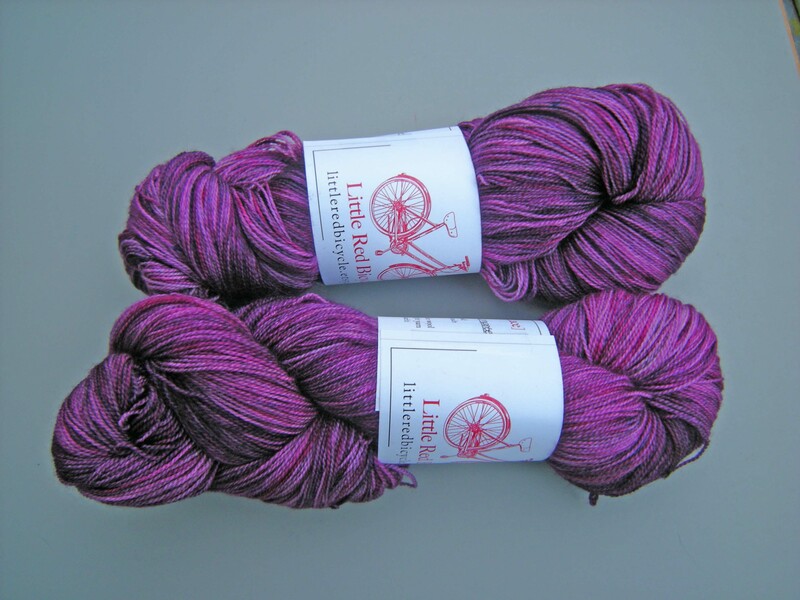 Caress Luxury Yarns from Albany uses locally sourced alpaca and she dyes the colors after the fiber comes back from wherever it goes to get turned into yarns. 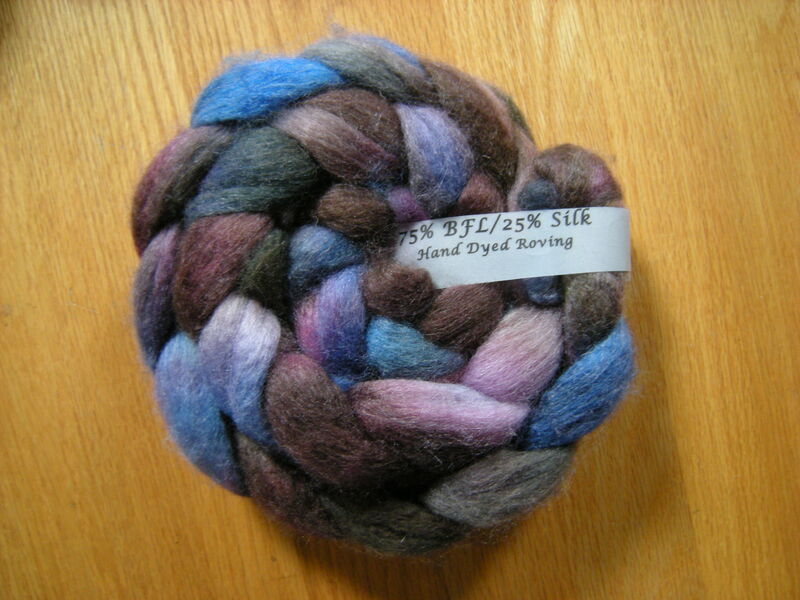 I was lucky enough to get some Suri Baby Alpaca to knit with and it is Noms, or Yummy, as far as yarn goes. 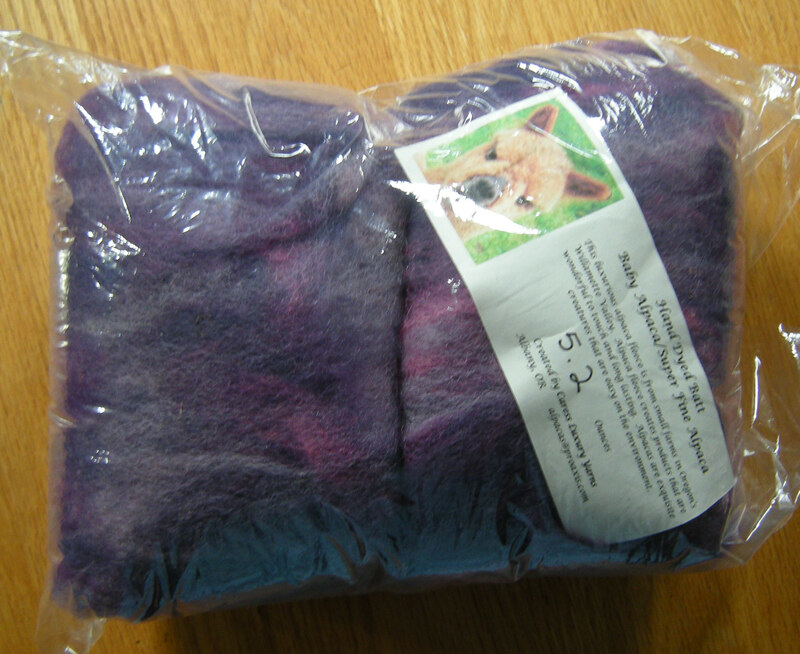 Glides so smoothly thru my hands, over the needles, it practically knits itself! 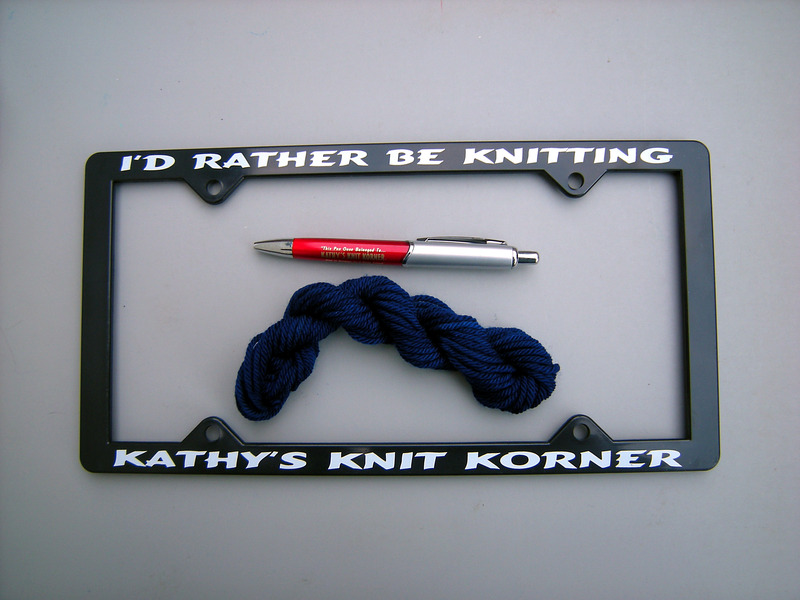 Well, not really, but you know what I mean, if you’re a knitter. Then, because of Melissa, at Make One, (my local yarn shop) I sort of started a sock knitting streak. She started it, I say! 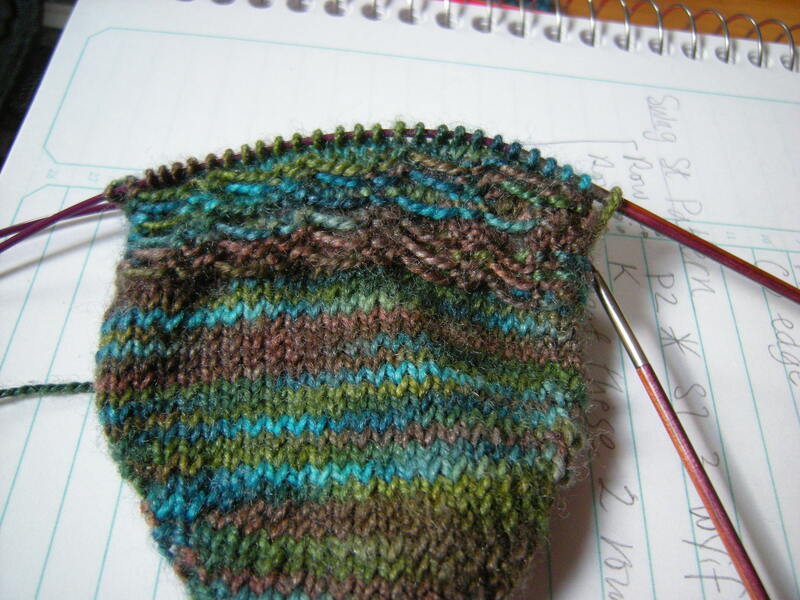 This is my third pair of socks I’ve started this month. One pair are finished, the other pair 80% done and then I just had to start these. I don’t know what’s got into me about the socks, Melissa said she needed new ones and I saw hers and I just started in. Its an obsession, I know. At least its an obsession that produces beautiful things…eventually. 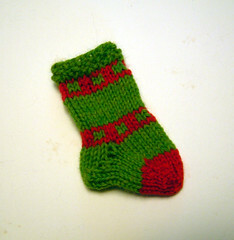 Lately I’ve been knitting a pile of wee Christmas Ornaments, which are like candy, you can’t just make one. 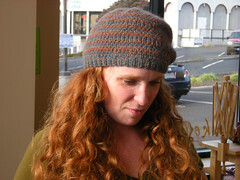 This on goes towards my long term LMKG Project, knitting everything in the Last Minute Knitted Gifts books. These wee ornaments only take a short while to knit, and if, say for instance, you’re watching a Law & Order Marathon via Netflix, pretty soon you have a pile. These simple mittens and stockings come from designer Barbara Albright, who has now left us. One is limited only by my yarn stash and imagination. 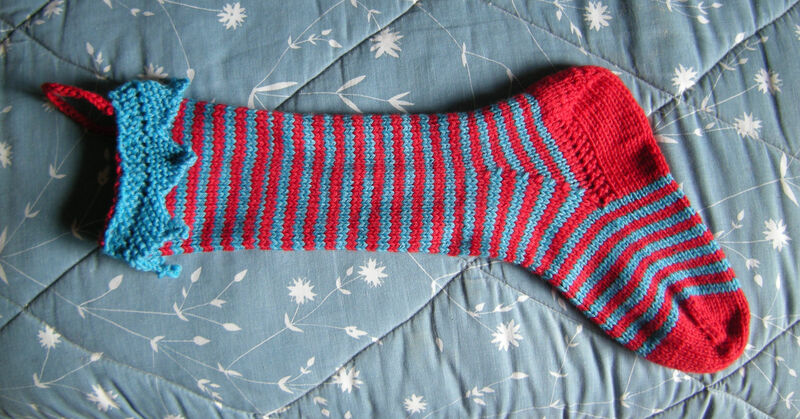 I’ve also knit this large Jester Stocking for Chris, who claims its not big enough. We’ll see about that when we go to stuffing it! 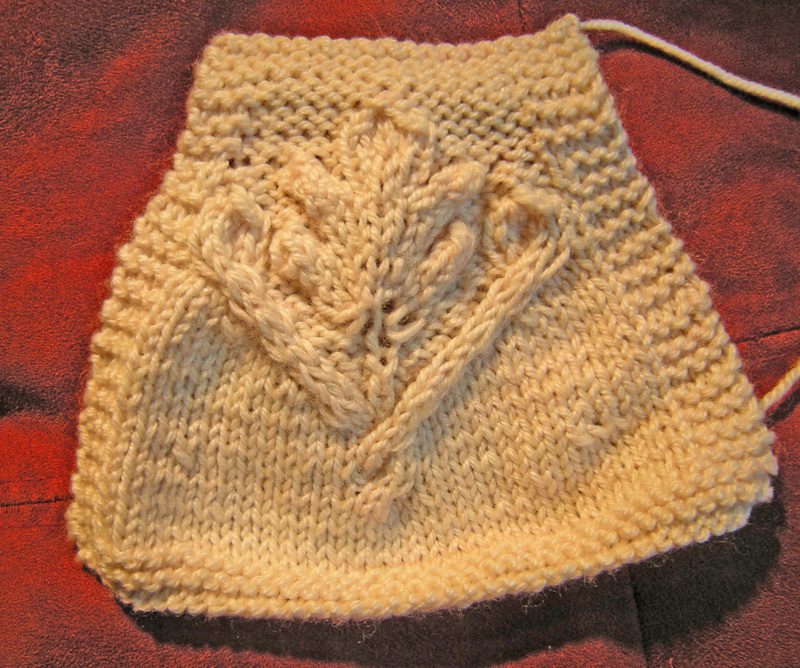 I also knitted up this Oak Leaf sample to see if I could do it. I could, barely, with a bunch of help from my Cable Guru friend, who can whip out a cabled thing about as fast as I can knit wee ornaments. 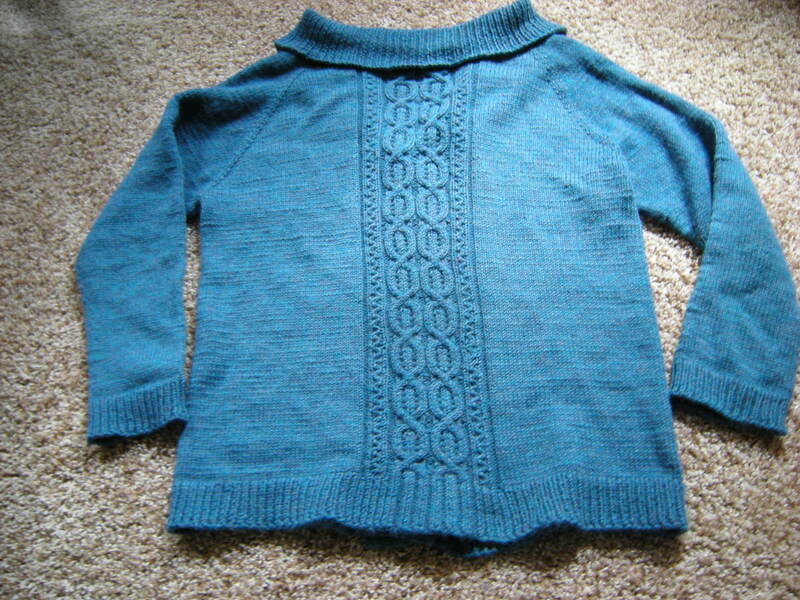 This is the for the Gnarled Oak Cardigan from the lovely Coastal Knits booklet. 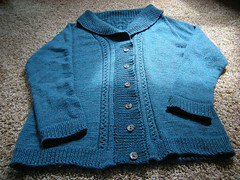 I’m in love with this cardigan and really want to knit if up for myself…only the cables are a bit daunting for me. 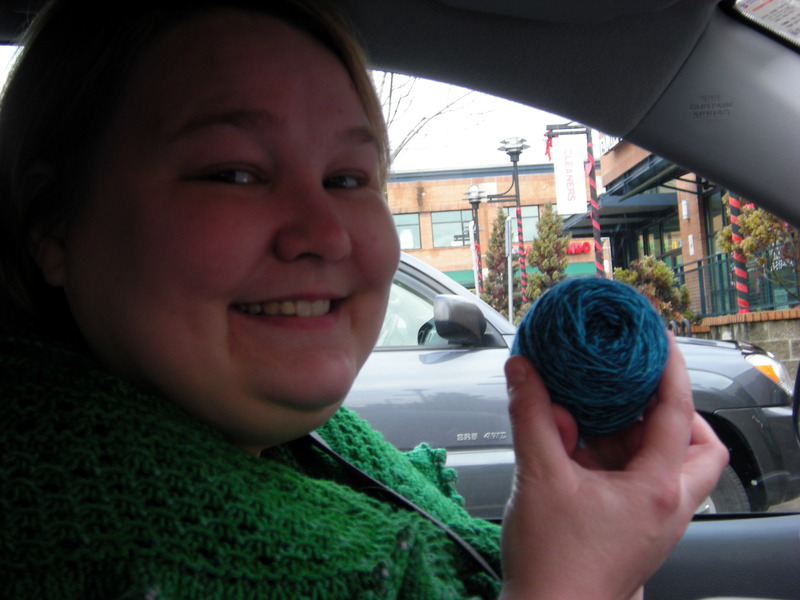 So instead, I’ve knitted not one, but Two…Sand and Sea Shawlettes! And that is about all I can share here on the blog, its Christmas after all!